Elisa Arcioni works in the field of public law, particularly constitutional identity and constitutional membership. Elisa has completed the first major study of the identity of ‘the people’ under the Australian Constitution. 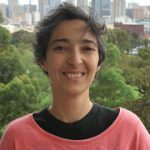 Her current projects include the interaction of two or more constitutional identities (most easily understood through the status of multiple nationality) and an interdisciplinary project extending her earlier work regarding Australian constitutional identity.